The next big smartphone unveiling is set for 2019, probably in February, but rumors have already started flowing. 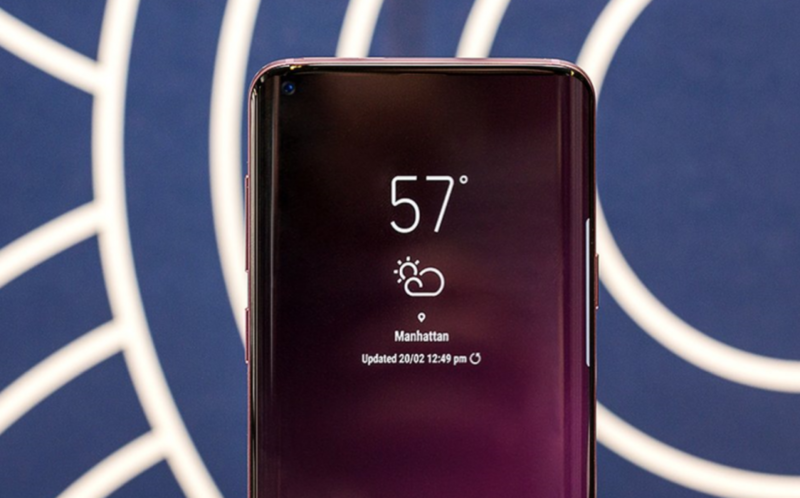 From Samsung’s recent announcements and design teasing, it seems that Samsung has finally achieved that all-screen display with no motorized design gimmicks. Just recently, Samsung at the Developer’s conference announced four different design that they will be adopting for their future smartphone line-up, the infinity U, Infinity V, Infinity O, and New Infinity. 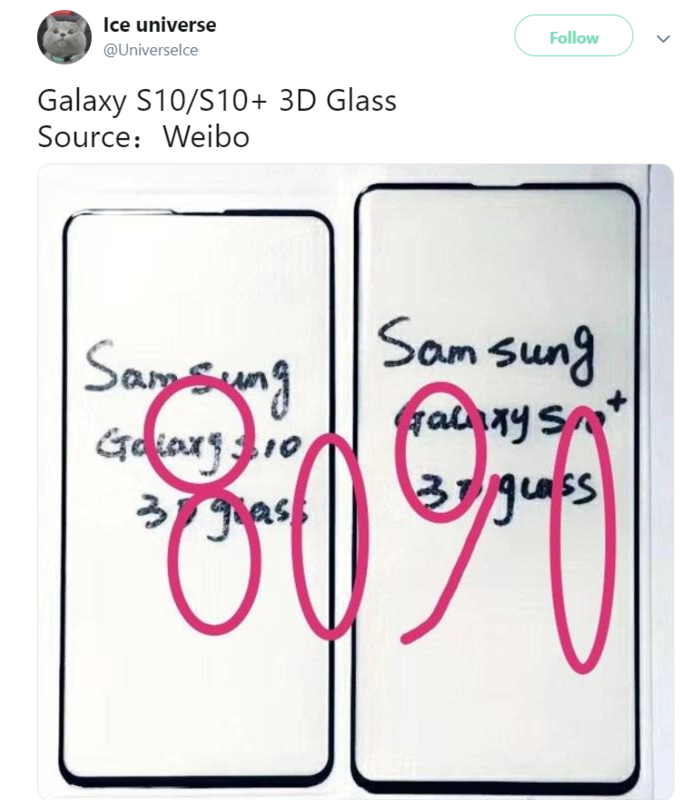 The latest leak that was posted at Weibo, and was later picked by the highly reputed Samsung leaker, Ice Universe, displayed the screen protectors that will be used for the Samsung Galaxy S10. The design clearly shows that Samsung has considerably shrunken the bezels with a cutout at the very top of the screen for the earpiece. The image shows that that earpiece is sitting at the top edge of the screen, another attempt to remove the need of the notch. Now what’s not clear from these leaks is whether the display will have in-display camera or a small hole drilled in the display. These leaks also feature a slightly bigger bottom bezel and curved edges. 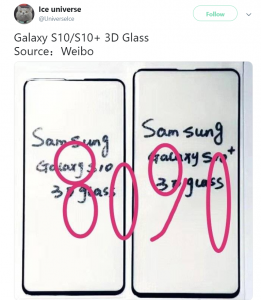 Considering the leak, which hints at four possible variants of Galaxy S10, with the cheapest being a flat screen and the most expensive one having curved edges and 5G enabled, there is a possibility that there may be some design variation in the variants. 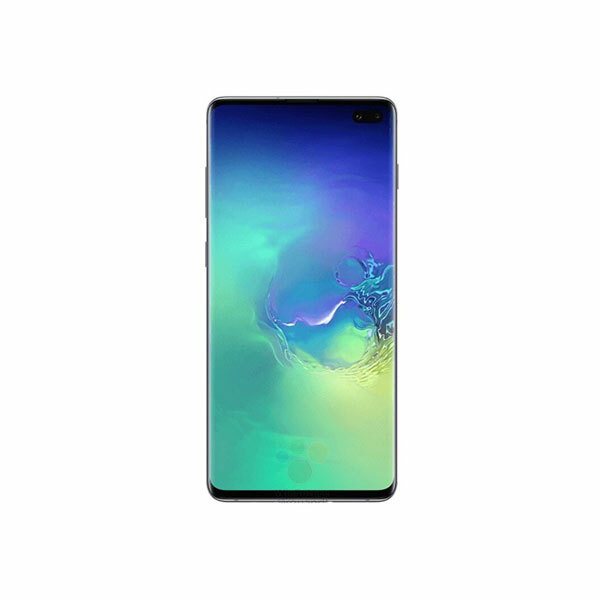 In addition to this, another render was provided by Ice Universe, which features an Infinity O design for the Galaxy S10. 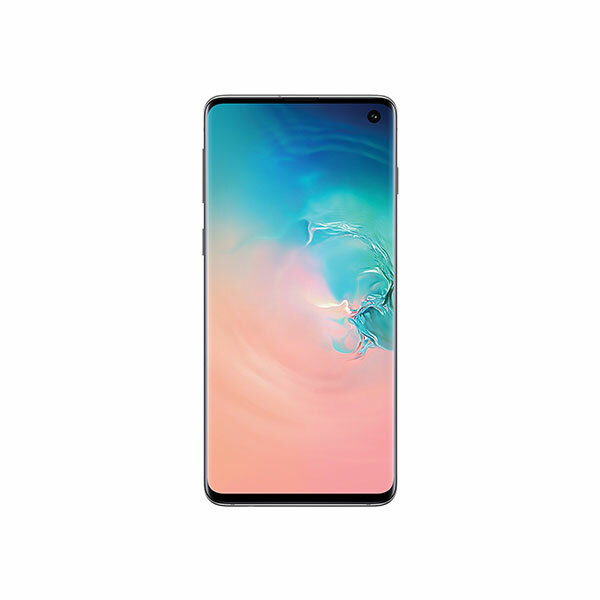 The tweet mentions that the new technology that was being adopted by Samsung for Galaxy S10’s Infinity-O screen laser hole punching technology is called “HIAA” (Hall In Active Area) by Samsung. However, there is more to the upcoming S10 than just a new design, Samsung’s latest flagship is also expected to feature an ultra-power Exynos 9820 chip built through a 7nm process which is expected to boost the performance of the device in a dramatic way. All signs are pointing to the Galaxy S10 hitting store shelves in early 2019, sometime after Mobile World Congress in late February.